The park's boundaries extend from the pastoral ranchlands of Buffalo Valley in the east to the western slope of the Teton Range in the west, and from the sagebrush flats near the Gros Ventre River in the south all the way up to the Yellowstone Park entrance 56 miles north of the town of Jackson. 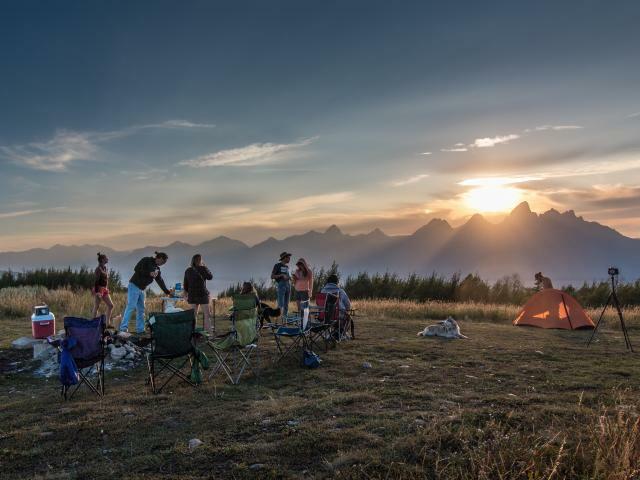 Learn more about Grand Teton National Park and the John D. Rockefeller Jr. Memorial Parkway at https://www.nps.gov/grte/index.htm. GTNP's trademark is the jaggedly impressive Teton Range that dominates your view to the west from nearly any vantage point within the park. The Grand Teton stands at the center of the range at 13,770-ft., nearly 7,500 feet above the valley floor. A string of lakes below the Teton Range, including Jenny Lake, Leigh Lake, Bradley Lake, Taggart Lake and Phelps Lake, offer wonderful hiking and strolling opportunities for all ages, as well as opportunities to gaze at the Tetons from a canoe, kayak or boat. The valley's largest lake, Jackson Lake, offers spectacular views of 12,605-ft. Mount Moran – the hulking granite mountain is often photographed from the eastern shore of Jackson Lake or from a cutoff meander in the Snake River called Oxbow Bend further east. A network of hiking trails begins on the valley floor and quickly ascends into alpine terrain via the canyons that separate each peak. Cascade Canyon, Paintbrush Canyon and Death Canyon are some of the most popular entrances to GTNP backcountry. The scenic Snake River meanders through the entire length of the park, presenting visitors with a wide variety of outdoor entertainment options. Kayaking, whitewater rafting trips, scenic floats and fly-fishing are some of the most popular ways to enjoy the Snake. The road system within GTNP offers a non-stop scenic view of the Teton Range. Several pullouts allow visitors to photograph the Tetons from a variety of angles, each one presenting a different but equally impressive mountain vista. If you have not visited GTNP, you will find yourself stopping to snap photos at every opportunity. GTNP is also home to moose, bison, elk, mule deer, coyotes, mountain lions, pronghorn antelope, black bears and the rare grizzly bear – this bear with a distinctive shoulder hump just behind its head as it gallops on all fours is more commonly seen in Yellowstone Park to the north. The higher alpine terrain features smaller animals such as the pika and yellow-bellied marmot – both a joy to see on a hike as they playfully scamper among the boulders. Listen for their high-pitched whistles as you hike in the high country. 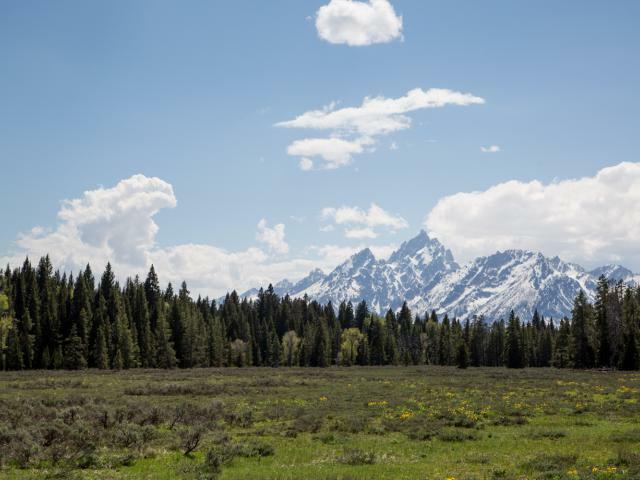 What's the Weather like in Grand Teton National Park? If you are enjoying the outdoors in GTNP, please keep in mind that weather in this area is unpredictable. A sunny, warm day in the park can quickly turn to a cool, rainy endeavor. Layering is a word that locals know well, and visitors would be wise to be so prepared. Generally, GTNP receives very sparse precipitation in the months of July, August and September, while May and early June are often wet. Summer days generally provide visitors with bluebird skies, though brief afternoon showers that are common in spring sometimes appear unexpectedly in summer. Temperatures are generally mild in the summer with daytime highs in the upper 70's and occasionally low-to-mid 80's. Evenings are always cool, routinely dipping into the 30's overnight. Winter temperatures in the park are what you would expect in a high mountain valley. December and January are generally the coldest months, with overnight lows often near zero degrees. Daytime highs in January are generally in the 20's. The town of Jackson is the closest major community to GTNP, just a few miles south of the park boundary. A variety of lodging accommodations are available within the town, and the Grand Teton Lodge Company offers a few terrific options in GTNP such as Jackson Lake Lodge and Jenny Lake Lodge. Signal Mountain Lodge, Flagg Ranch and Colter Bay Village offer more options within the park. 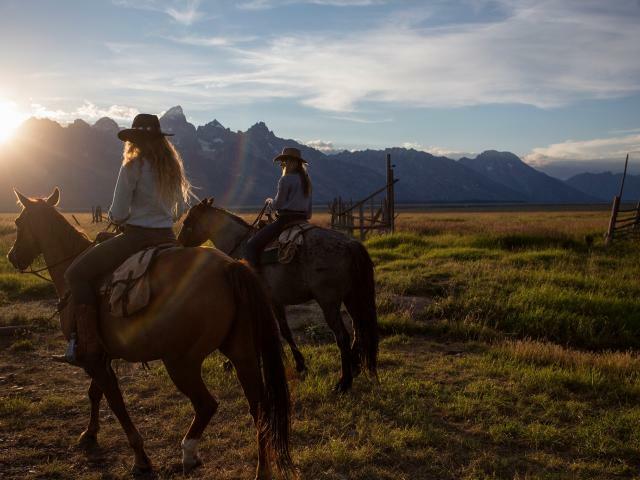 A few guest ranches also allow visitors to enjoy an authentically western experience while gazing across the valley at the Tetons. For those that prefer sleeping under the stars, there are 5 National Park Service campgrounds with sites available on a first-come, first-served basis. All campgrounds tend to fill up quickly in the summer, some as early as 8 a.m. Gros Ventre campground is usually the last to fill, more because of its location off the main highway than anything else. Jenny Lake campground will nearly always fill up by 8 a.m. on a summer day. 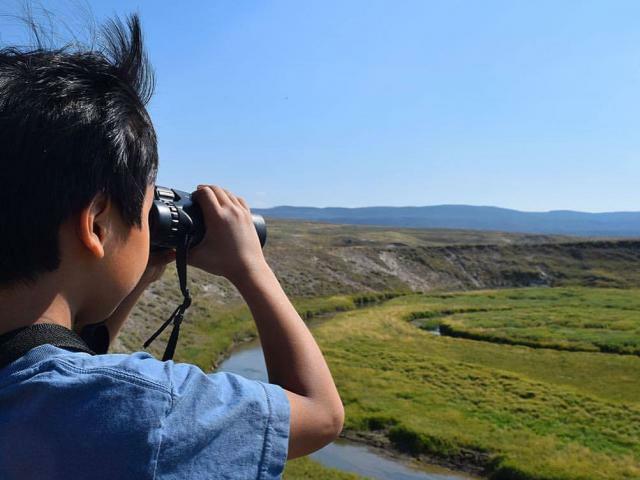 GTNP is open year-round, though most facilities are open only from May through October. For current information about the park, please visit www.nps.gov/grte/ or call 307.739.3300.